Reigning champion Marc Marquez is bidding for a seventh MotoGP world title as this weekend sees the start of what promises to be one of the most wide open championship races in recent history. The Repsol Honda rider was such a model of consistency during 2017 that few would choose to back against him repeating the feat in the 2018 MotoGP season and he is odds-on at 3/4 to defend his crown. And the way Marquez and team-mate Dani Pedrosa began pre-season testing, there was every indication the former will begin the season with victory in Qatar, but things have not all gone Honda’s way in subsequent outings. Both Ducati and Yamaha have shown they have the pace to compete and that is reflected in Andrea Dovizioso being priced up as 2/1 favourite in the Qatar MotoGP betting, ahead of Marquez at 3/1, while Movistar Yamaha’s Maverick Vinales and Valentino Rossi are both 9/2 to top the Losail podium. Rossi remains with Yamaha for 2018 as he searches for an elusive 10th world title and has ended speculation about his future after signing to remain with the Japanese manufacturer in both 2019 and 2020. The continued struggles of former champion Jorge Lorenzo (10/1) would have made a return for Rossi attractive for Ducati but losing MotoGP’s star attraction would have been something of a disaster for Yamaha. The Japanese manufacturer will lose satellite team Tech 3 to KTM for 2019 and many think the number one plate could go along with the team. Johann Zarco might be 6/1 in the Qatar MotoGP betting but his steady approach and determination won many fans last season and with no clear title favourite emerging from pre-season, there are many in the GP paddock tipping former Moto2 champion Zarco to rise to the top despite his title odds of 14/1. 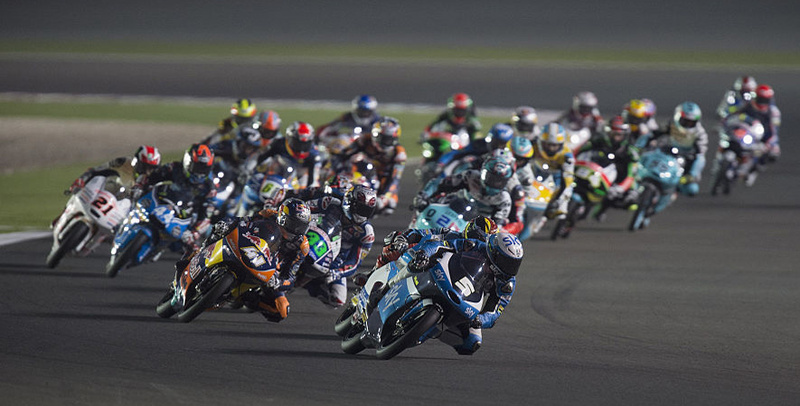 Of the other teams, Suzuki could do with a run of good results but their limited prospects of success are reflected in the outside chances of Andrea Iannone (50/1) and Alex Rins (66/1) in Losail. Fans of Aprilia and KTM will pin their hopes on the respective chances of brothers Aleix (150/1) and Pol Espargaro (300/1). 1 Marc Marquez (Honda) 298 points, 2 Andrea Dovizioso (Ducati) 261, 3 Maverick Vinales (Yamaha) 230, 4 Dani Pedrosa (Honda) 210, 5 Valentino Rossi (Yamaha) 208, 6 Johann Zarco (Yamaha) 174, 7 Jorge Lorenzo (Ducati) 137, 8 Danilo Petrucci (Ducati) 124, 9 Cal Crutchlow (Honda) 112, 10 Jonas Folger (Yamaha) 84, 11 Jack Miller (Honda) 82, 12 Alvaro Bautista (Ducati) 75, 13 Andrea Iannone (Suzuki) 70, 14 Scott Redding (Ducati) 64, 15 Aleix Espargaro (Aprilia) 62, 16 Alex Rins (Suzuki) 59, 17 Pol Espargaro (KTM) 55, 18 Loris Baz (Ducati) 45, 19 Tito Rabat (Honda) 35, 20 Karel Abraham (Ducati) 32, 21 Bradley Smith (KTM) 29, 22 Hector Barbera (Ducati) 28, 23 Michele Pirro (Ducati) 25, 24 Mike Kallio (KTM) 11, 25 Sam Lowes (Aprilia) 5, 26 Katsuyuki Nakasuga (Yamaha) 4, 27 Sylvain Guintoli (Suzuki) 1. Marquez’s sixth world title did not come easy but the Spaniard showed he could tough it out on his way to lifting the crown as he dealt with all comers. Vinales started the season as hot favourite and announced himself in the MotoGP class with a stunning run of early season results to back up the pace he had shown during pre-season testing. As Vinales began to fade mid-season, the resurgence of his team-mate Rossi provided another test of Marquez’s mettle. The emergence of Dovizioso as a genuine title contender also gave the Spaniard something to think about as the season came down to its business end. But Marquez was able to take all that was thrown at him and prove he had what it takes to come out a winner. Due to his riding style, Marquez was one of the most frequent crashers during the 2017 season but he used what he learned from his spills on Friday and Saturday to keep both wheels upright on race day when it really mattered. Last season also saw important steps forward by both Aprilia and KTM as they bid to leap up the grid to join the major teams. Dovizioso showed what the Ducati can do in the right hands as he pushed Marquez all the way to the title, while team-mate Lorenzo took his time to adapt to the Italian machine.